Google play store error 495 is one of the most common error that occurs when an android user trying to download any apps or games using wifi connection in the play store. When you are trying to download the apps you get message of “App could not be downloaded due to an error code 495”. Is this the issue you are getting with your device. If you are trying to download the same app through your mobile network then is it working fine. Many users complains that when they try to download using mobile data it works fine. Some times when a user gets google play error code 495 then simply they change the connectivity to mobile data and start downloading the apps or games. But in case if the app is of high GB then obviously your mobile data will be vanished. So you need to solve this play store error 495 issue. 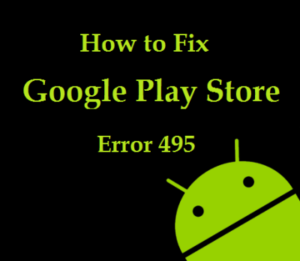 Before going to solve the error 495 in your play store basically many of us want to know what is error code 495 and why does it appear. Error 495 is the common android error that appears when the user downloads a game or app, if the application source code does not matches with our mobile OS then usually we gets this type of errors. There also other errors like play store error rh-01. You can check the below methods for solve error 495. Getting error code 495 google play in your device then simply follow the below methods to fix your issue. Below are the different methods to fix your mobile issue, you can check all the working methods and then fix it. If you are getting error 495 google play in your device then a common way is to clear its cache and check whether the issue is solved. In most of the cases because of the browsing cache we get the errors. 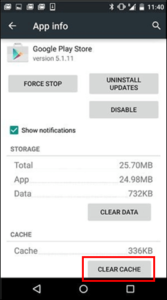 Follow the steps below to clear the google play cache. Open the Applications, check for the list of apps. Check for Google Play Store. Tap on the Play store, now you will see some options. Click on Clear Data and Clear Cache. Go to Apps list again. Now Check for the Google Service Framework. Tap on Google Service Framework. Click on Clear Data and Clear Cache again. Now go back to play store and check whether the error appears. If this method does not work then use the other methods below. 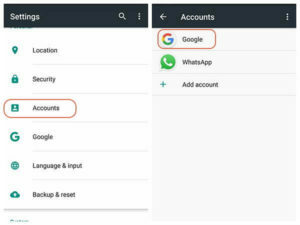 If you are getting the android errors you can simply use a method to remove your google account, this will clear all your data. In order to remove google account follow the steps below. Scroll down for Accounts>> Google>> Remove Gmail Account. Go to Settings>> Apps >>Force Stop. Click on Google Play Store >> Clear Cache >> Clear Data. Also tap on Force Stop. Go to Google Services Frame Work >> Clear Cache >> Clear Data >> Force Stop. Visit Settings >> Accounts >> Google >> Add your gmail account. Setup device by adding your google account and accept its terms and conditions. Go to play store and then try to install the application. Now the app will be installed without any errors, even after doing this if the Google Play Store Error 495 appears again then try the next method. This is the final method that we can try to avoid the google play error 495, this can be done by installing a VPN on your smartphone. Follow the steps below. First install the Hideman VPN app from the google play store. If not you can also use the .APK file to install the hideman app. After installing the app, open it and select the country as US. Now close all the other apps. Go to play store and try to download the app. Now the application will be downloaded without any error. You can also use other VPN’s to connect to other location. Using this method will erase all the google play store errors as it changes the location of your device. Finally the error 495 in google play store can be solved using the above working methods. You can use any of the method to solve the Play Store Error 495. If you having any issues with the smartphone you can simply comment us below, we will respond to that. Visit Gud tech tricks for more information. If you like this article share in the social networking sites like facebook and twitter.